Ginger PouchetteH 6.25" x W 2.25" x L 8.75" Front slip pocket. One inside zip pocket. Cell phone pocket. Two inside pockets. Lined. Adjustable strap. Strap drop length 25".The Pebble Grain Collection is renowned for the rich texture and exceptional durability of its leather. 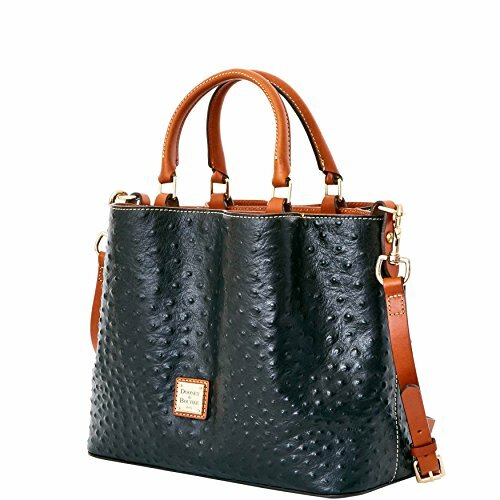 This bag is simple and chic with timeless elegance and understated style, making it perfect for work or a dressed up night about town.The Pebble Grain Collection is renowned for the rich texture and exceptional durability of its leather. 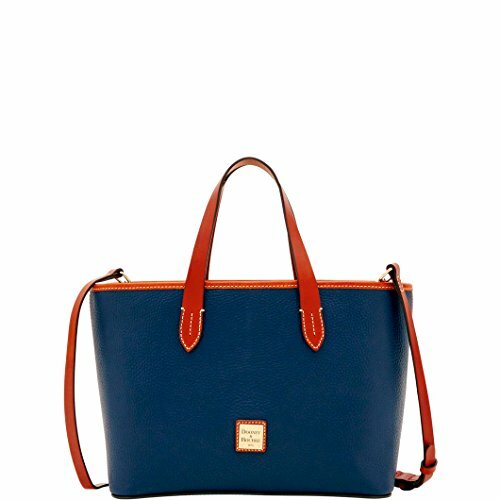 This bag is simple and chic with timeless elegance and understated style, making it perfect for work or a dressed up night about town. Double Pocket SatchelH 10.5" x W 6" x L 12" Two outside zip pockets. One inside zip pocket. Cell phone pocket. Inside key hook. Adjustable, detachable strap. Handle drop length 4.5". Strap drop length 13". Lined. 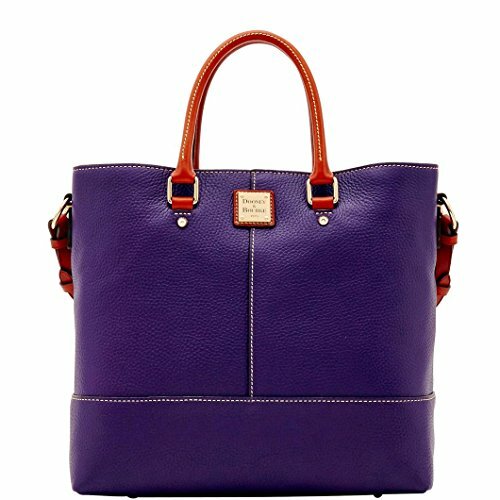 Feet.A true Dooney classic, Dillen leather is known for its soft, pebbled texture and exceptional durability. 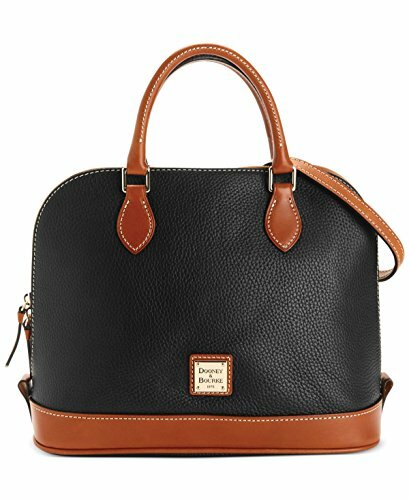 This satchel is one of Dooney & Bourke's original styles. 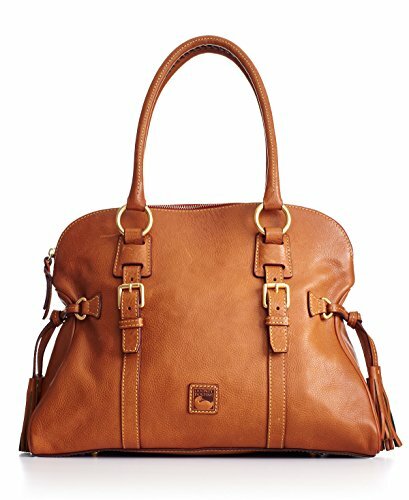 It speaks to our legacy of crafting and designing timeless, iconic shapes and features a variety of carrying options.A true Dooney classic, Dillen leather is known for its soft, pebbled texture and exceptional durability. 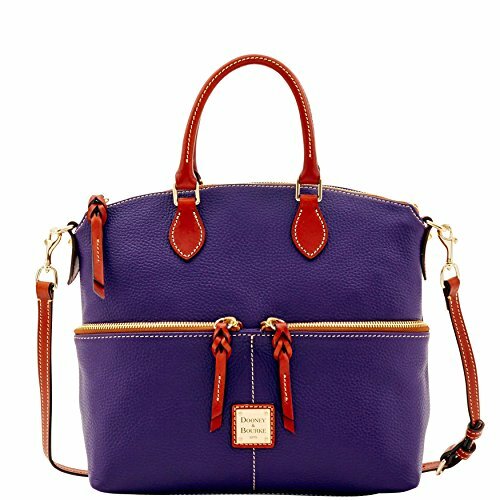 This satchel is one of Dooney & Bourke's original styles. It speaks to our legacy of crafting and designing timeless, iconic shapes and features a variety of carrying options. 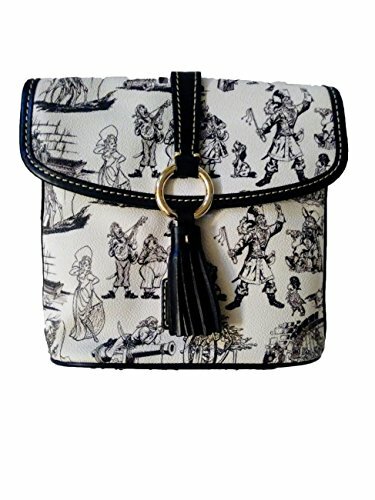 Join the rowdiest crew to sack the Spanish Main with Disney's Pirates of the Caribbean collection by Dooney & Bourke. Our leather-trimmed crossbody is fully equipped to carry your cursed treasures in swaggering comfort and style. ChelseaH 11.5" x W 6.5" x L 13" Two inside pockets. Inside zip pocket. Center zip divider pocket. Cell phone pocket. Inside key hook. Handle drop length 5". Strap drop length 9". Adjustable strap. Lined. Feet. Magnetic closure.The Pebble Grain Collection is renowned for the rich texture and exceptional durability of its leather. Designed to be easily worn over your shoulder and crafted wth a roomy interior, this tote is the perfect companion for wherever your life takes you.The Pebble Grain Collection is renowned for the rich texture and exceptional durability of its leather. 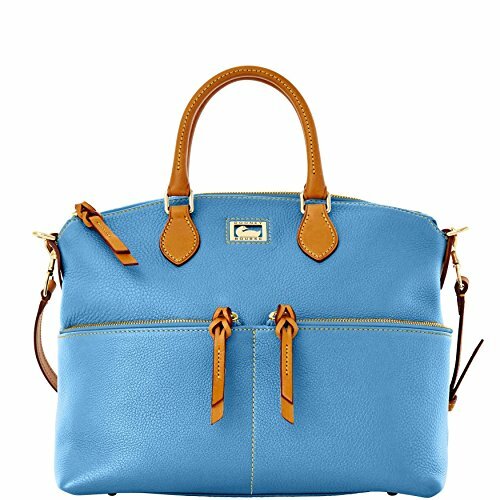 Designed to be easily worn over your shoulder and crafted wth a roomy interior, this tote is the perfect companion for wherever your life takes you. H 9" x W 5.25" x L 12" One inside pocket. .One inside zip pocket. Cell phone pocket. Inside key hook. Adjustable strap. Handle drop length 6". Lined. Feet. Zipper closure. 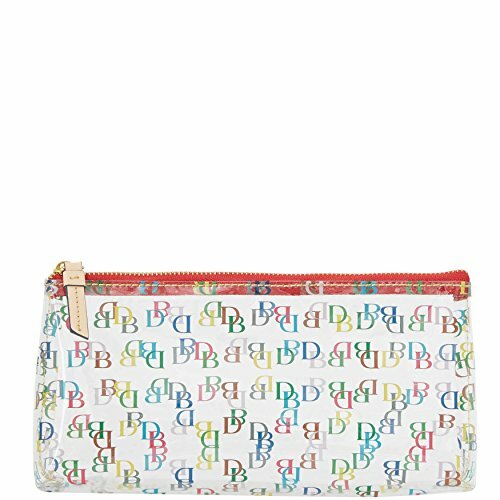 On the Go Cosmetic CaseH 3.75" x W 6.5" x L 11" Zipper closure. Mini BarlowH 7.25" x W 5" x L 9.5" Front outside pocket. Back outside pocket. One inside zip pocket. Two inside pockets. One inside credit card slot on front pocket. Cell phone pocket. Inside key hook. Adjustable shoulder strap. Strap drop length 26". Handle drop length 3.5". Lined. Snap closure. Feet. Double Pocket SatchelH 10.5" x W 6" x L 12" Two outside zip pockets. One inside zip pocket. Cell phone pocket. Inside key hook. Adjustable, detachable strap. Strap drop length11.5". Handle drop length4". Lined. Feet. 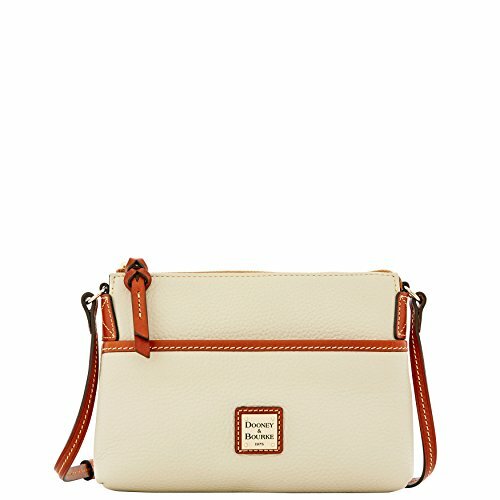 Compare prices on Womens Dooney And Bourke Handbags at ShoppinGent.com – use promo codes and coupons for best offers and deals. Start smart buying with ShoppinGent.com right now and choose your golden price on every purchase.